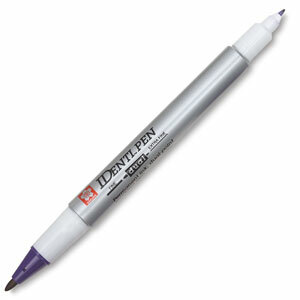 The Sakura Identi-Pen has a fine-point marker on one end and an extra-fine tip on the other. This pen will write on virtually anything. Use it on fabric, metal, glass, ceramics, rubber, leather, photographs, etc. It is permanent on most surfaces, as well as fade-resistant and waterproof.